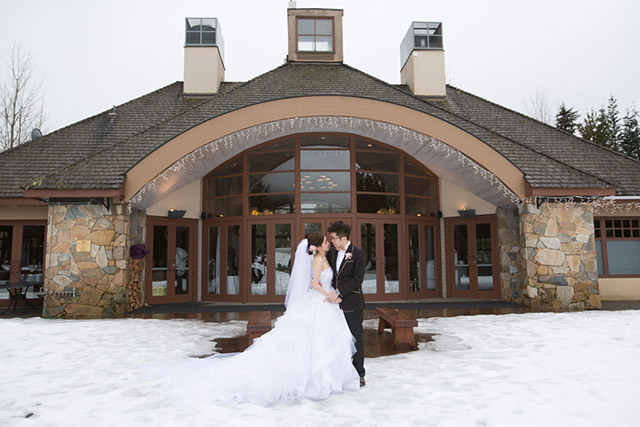 Snow has always been a magical phenomenon. 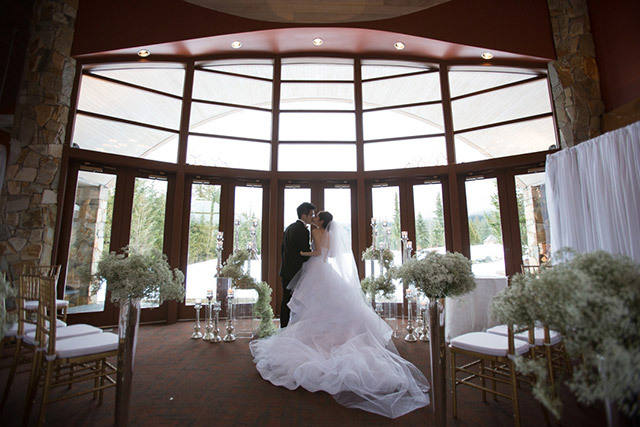 And with the release of the movie Frozen, every young girl today dreams of her own icy palace. 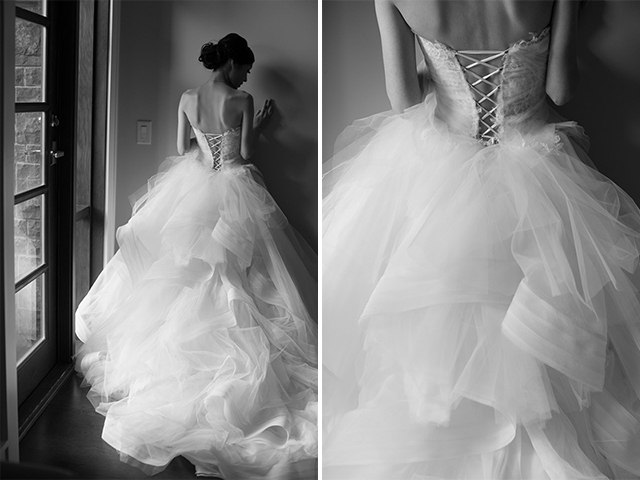 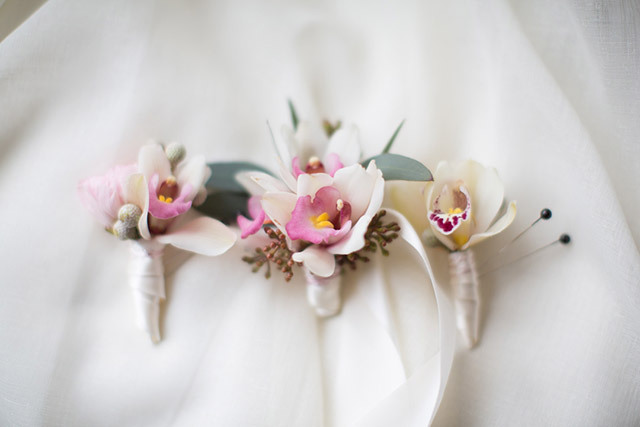 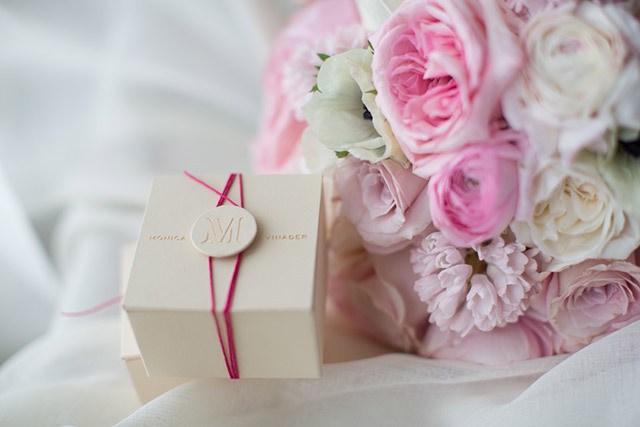 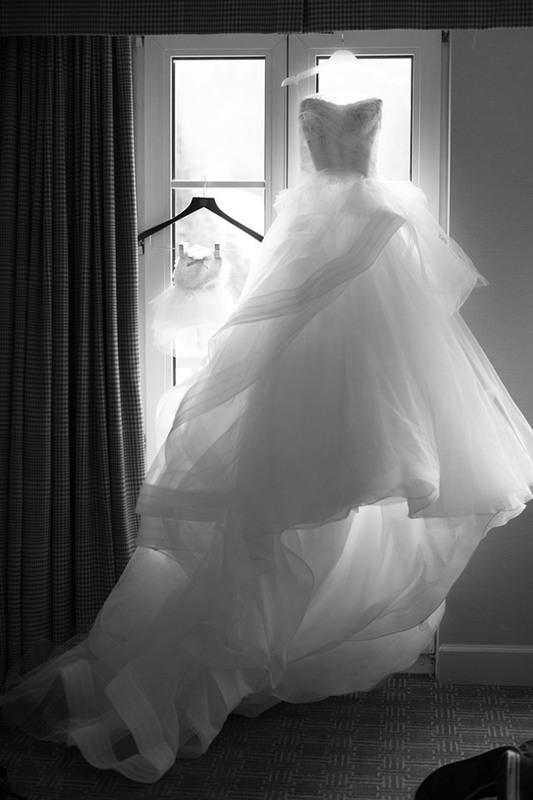 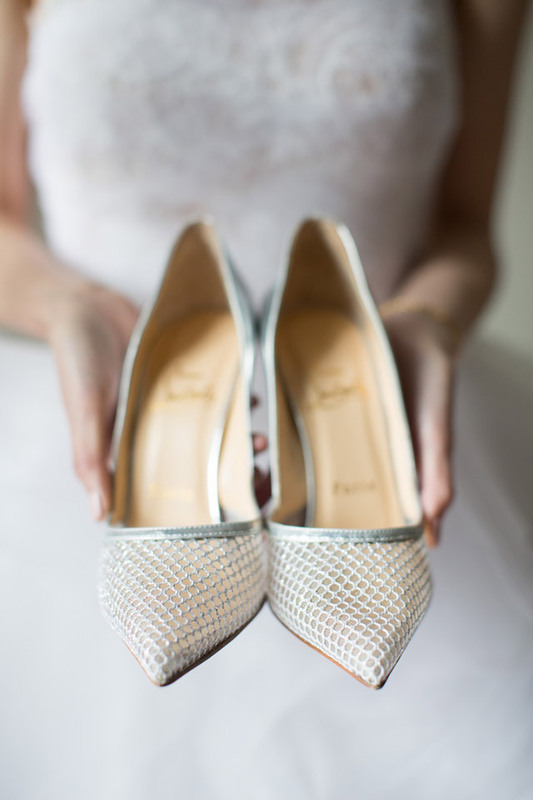 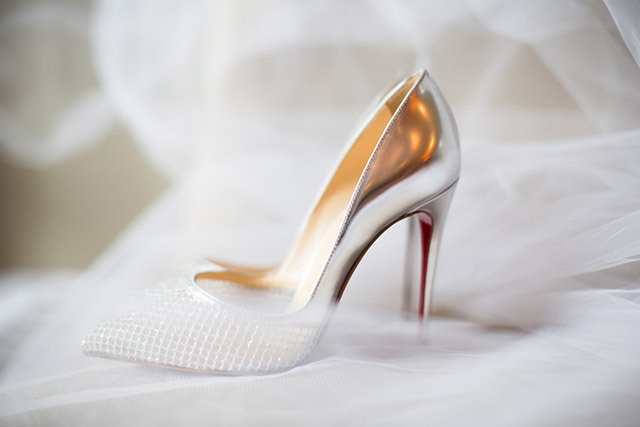 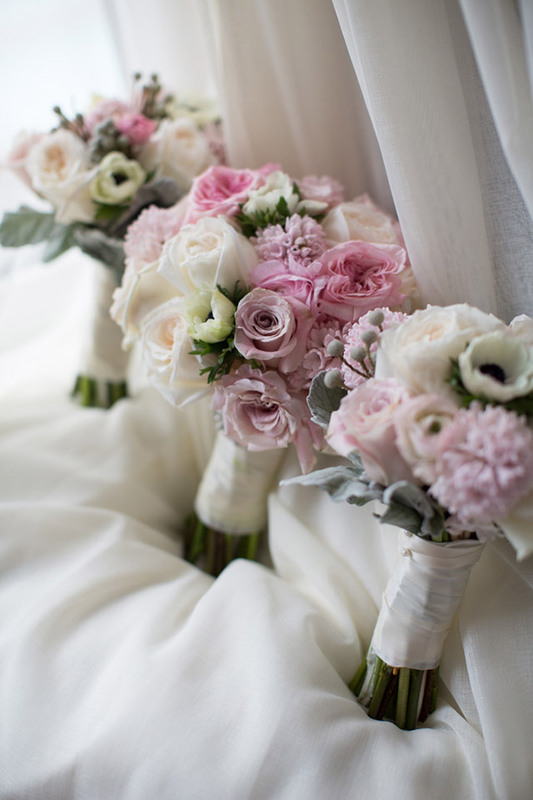 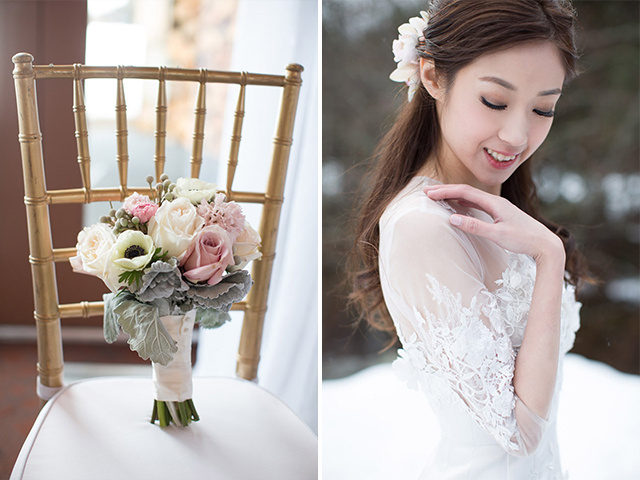 For brides-to-be, a white, fairy tale wedding would be a childhood dream-come-true. 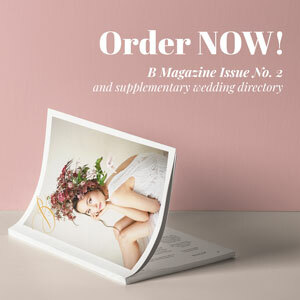 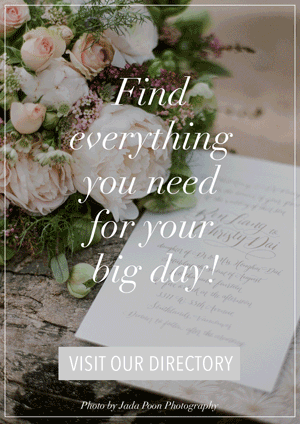 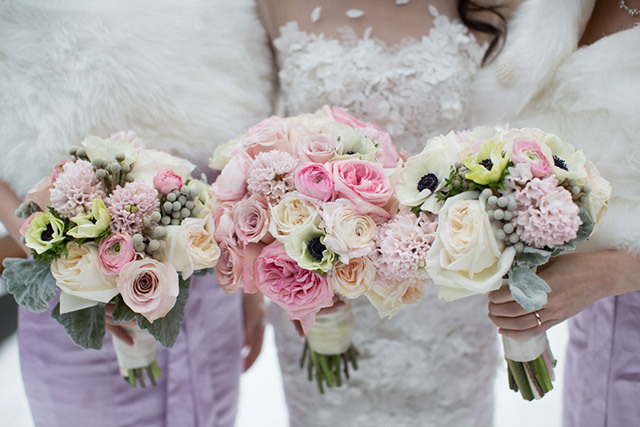 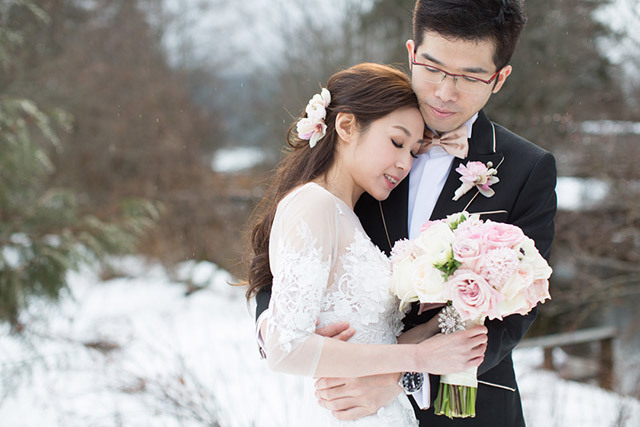 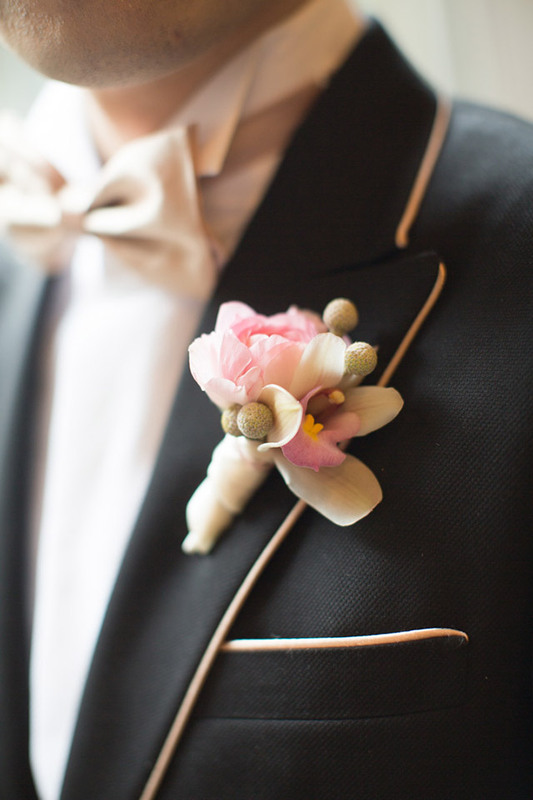 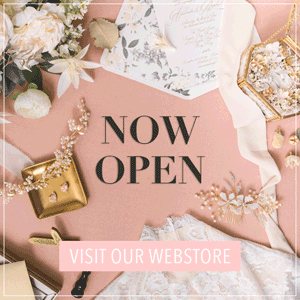 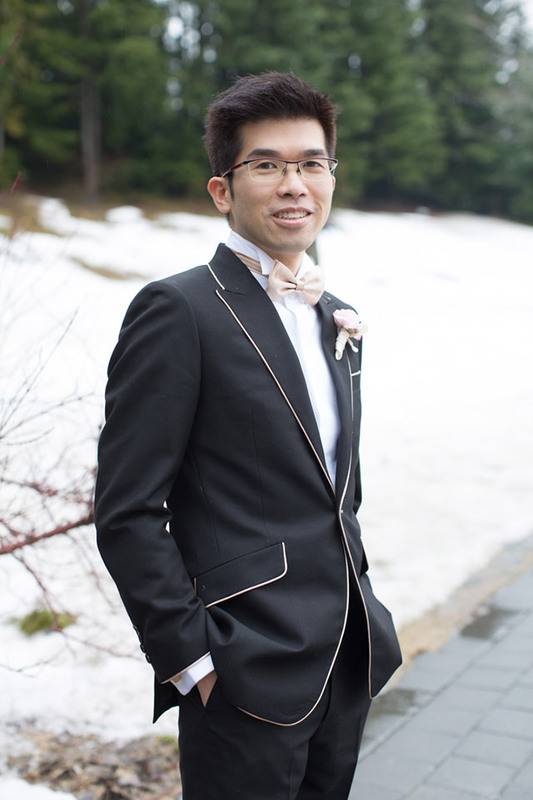 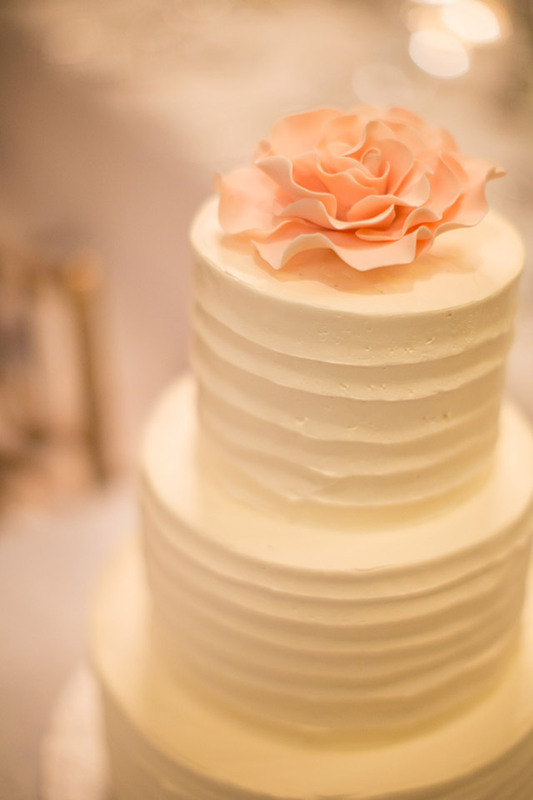 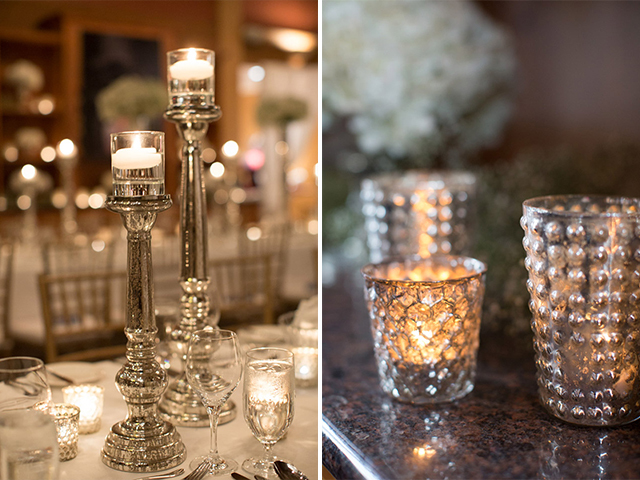 Today’s wedding feature is exactly what we’ve all been dreaming of–a dreamy, winter wedding! 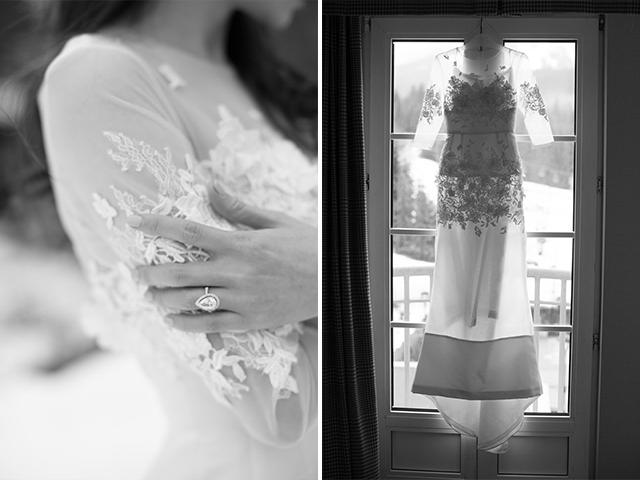 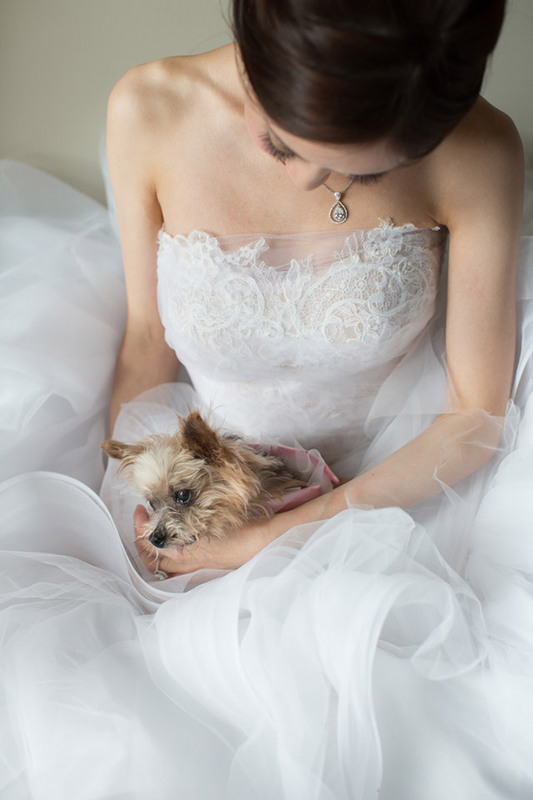 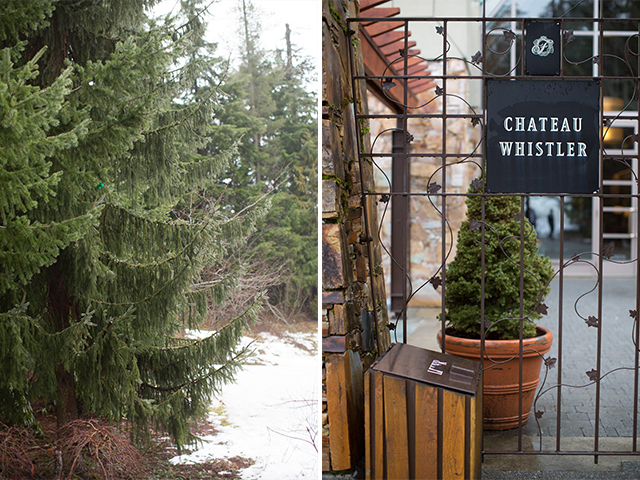 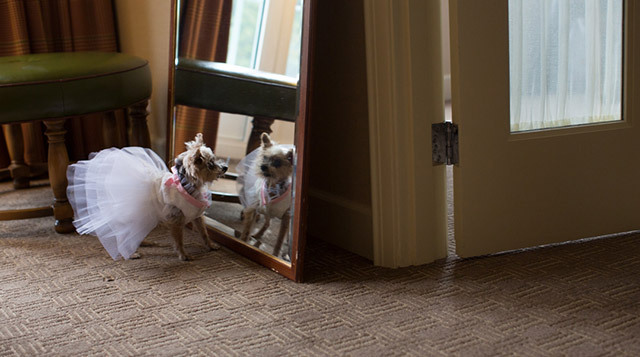 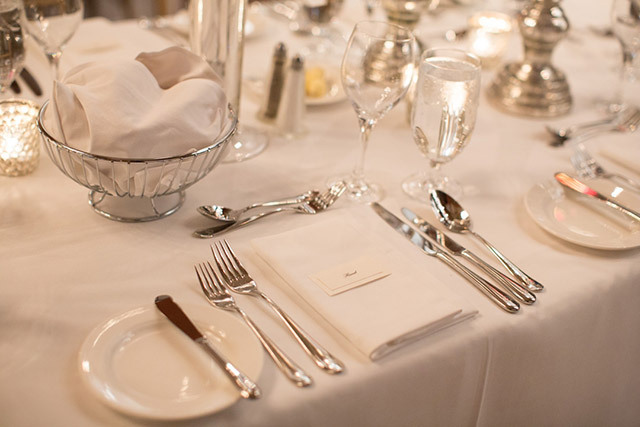 Jacqueline and Bob’s winter wedding, held at the Fairmont Chateau, Whistler, was an intimate celebration that included family, friends, and their beloved Yorkie, Mimi. 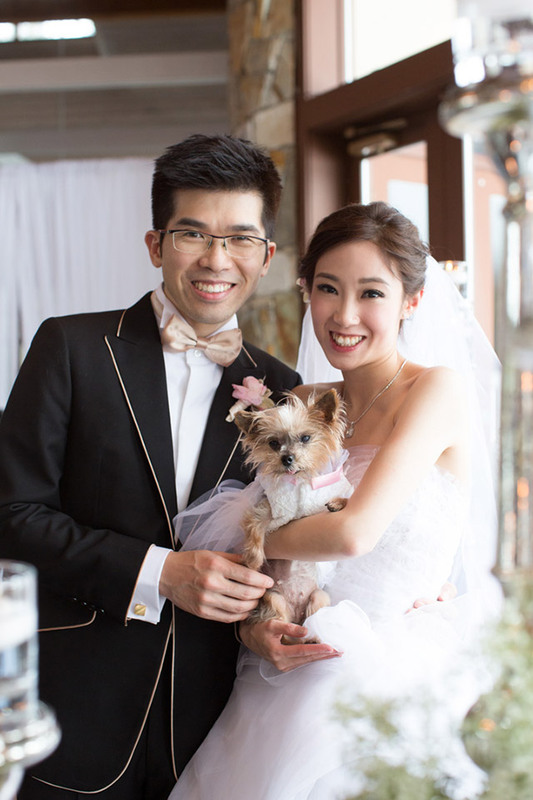 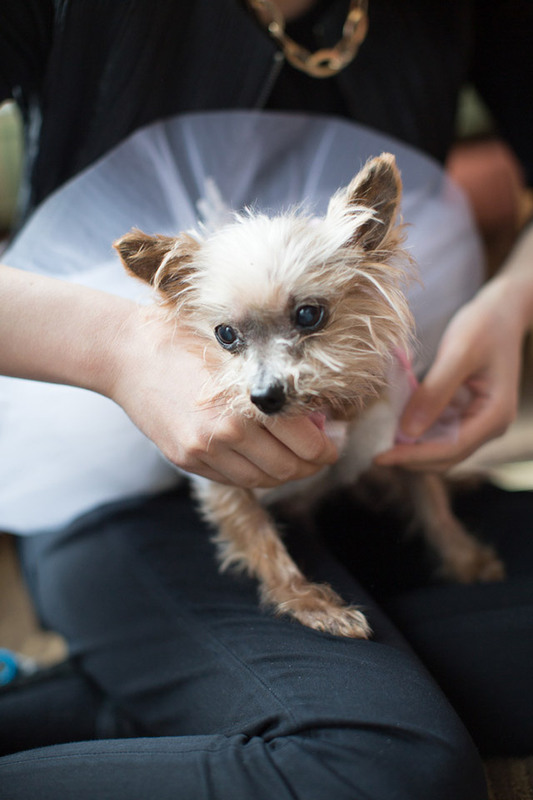 The pet-friendly venue was a top pick for the couple who already had friends and relatives residing in Vancouver, and had long been wanting to go skiing themselves. 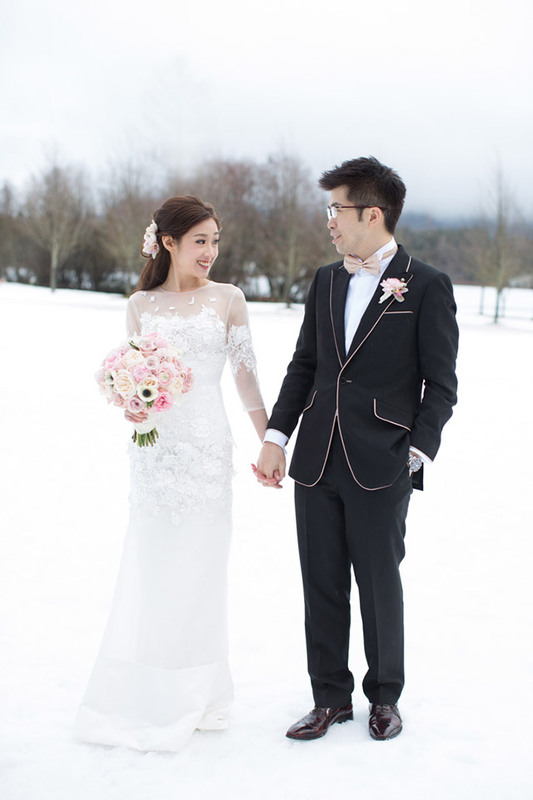 To ensure that her dresses would stand out against the snow–white garment tends to appear yellow against snow–Jacqueline contracted Hong Kong designer Noel Chu, to create exquisitely white gowns for her and of course, for Mimi. 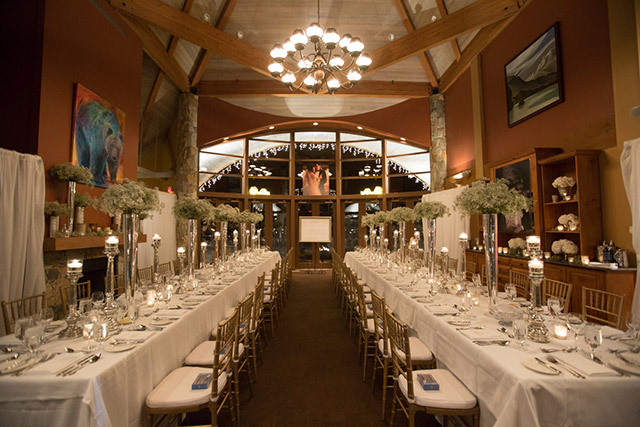 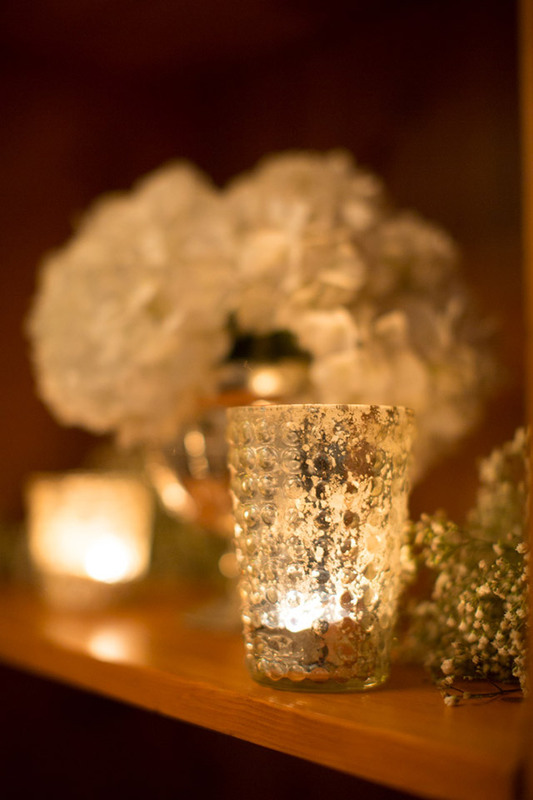 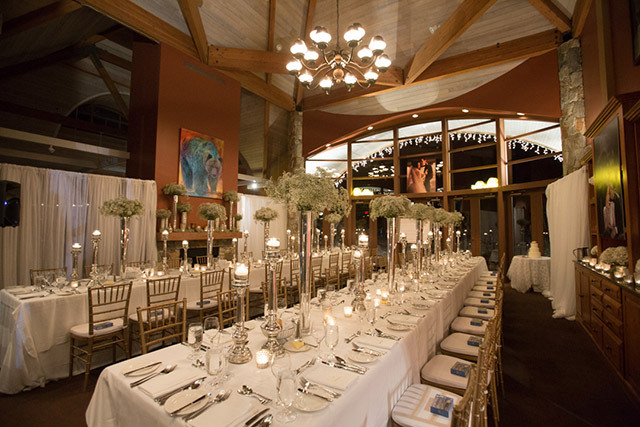 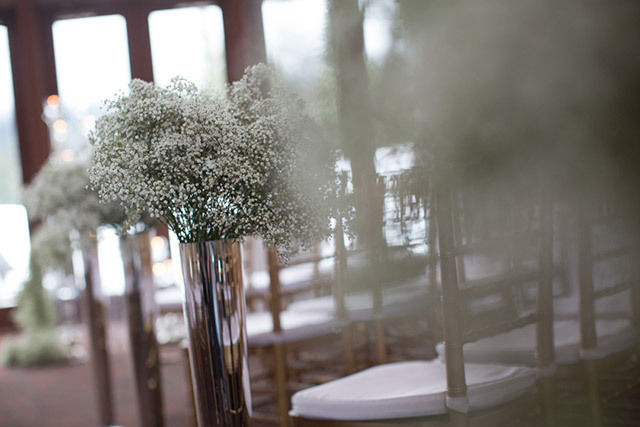 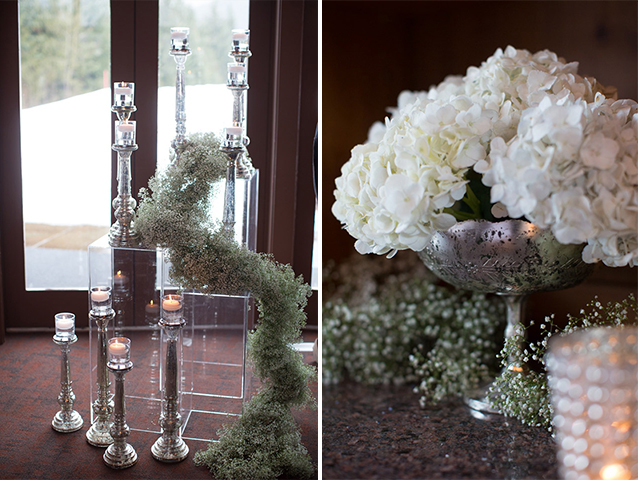 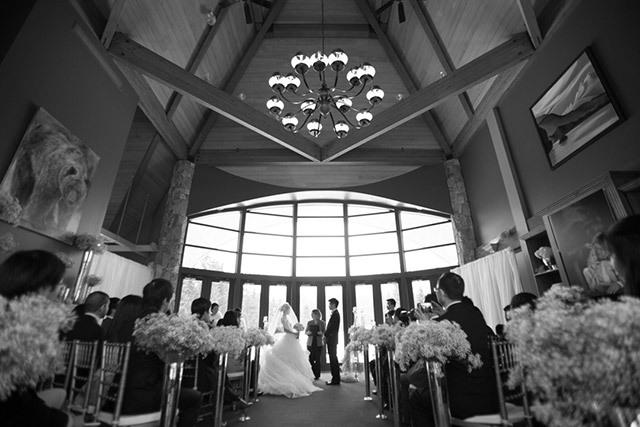 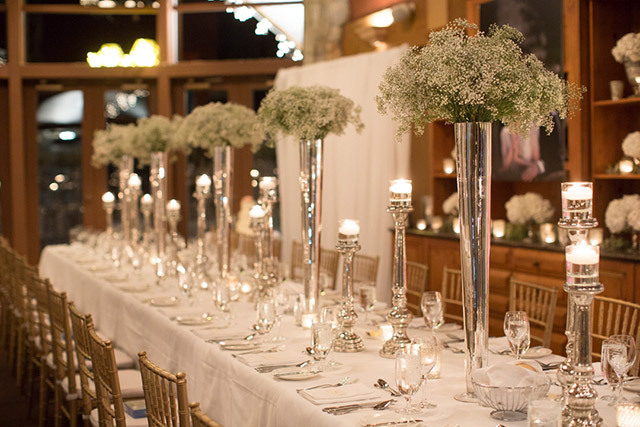 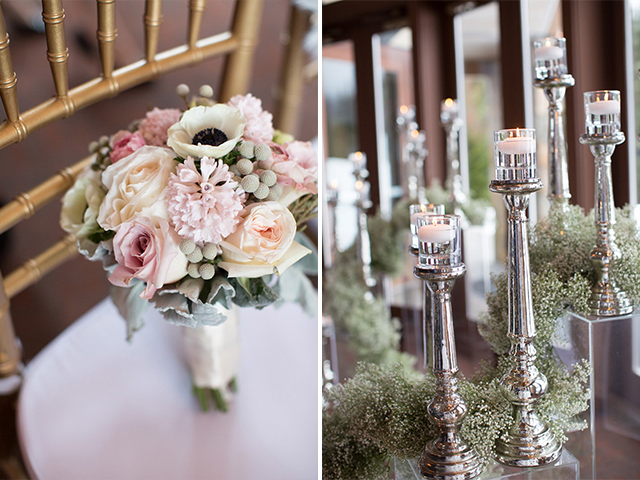 The reception in the chalet room was dressed with candles of various heights, gold Chiavari chairs, and white baby’s breath–a perfect setting against the white, snow-clad landscape. 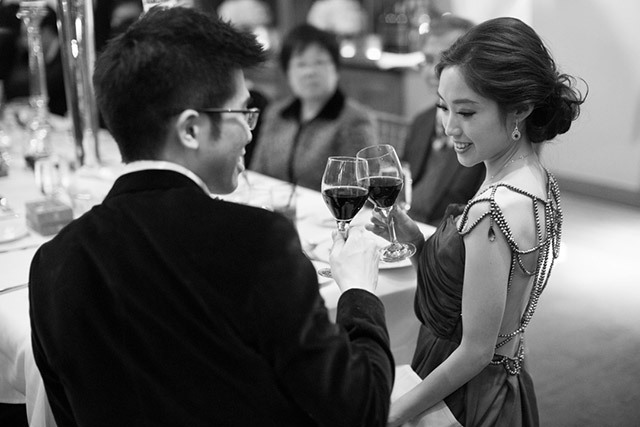 Guests enjoyed dinner by the fireplace while the couple moved from table to table, ensuring that they spent time with everyone in the room. 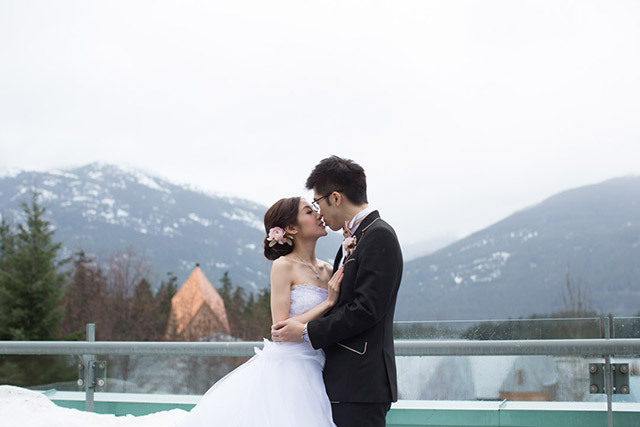 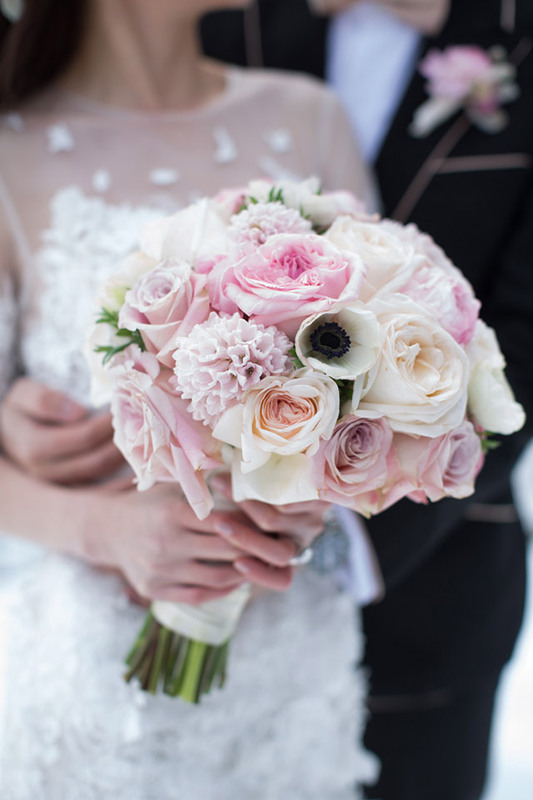 Despite being set in the icy mountains of Whistler, Bob and Jaqueline’s wedding photos reflect the warmth of love, and the comfort of close friends and family. 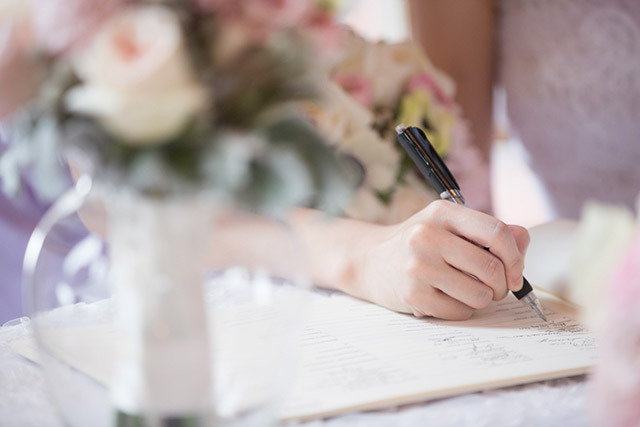 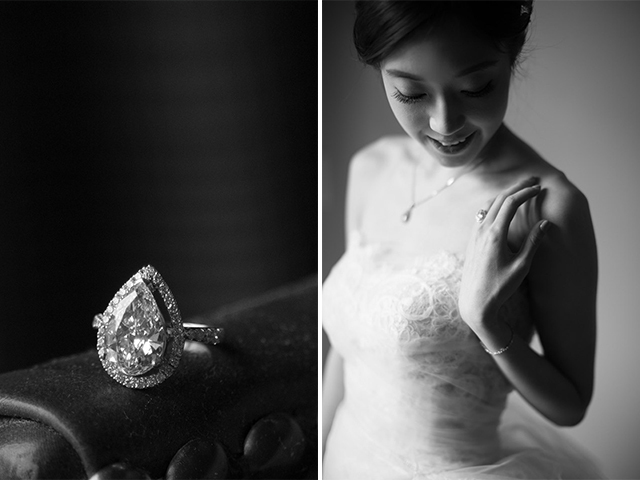 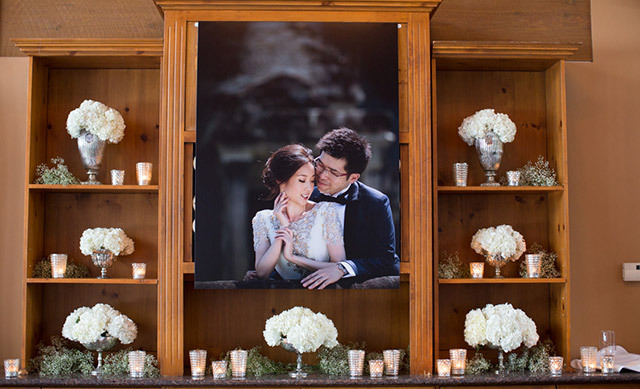 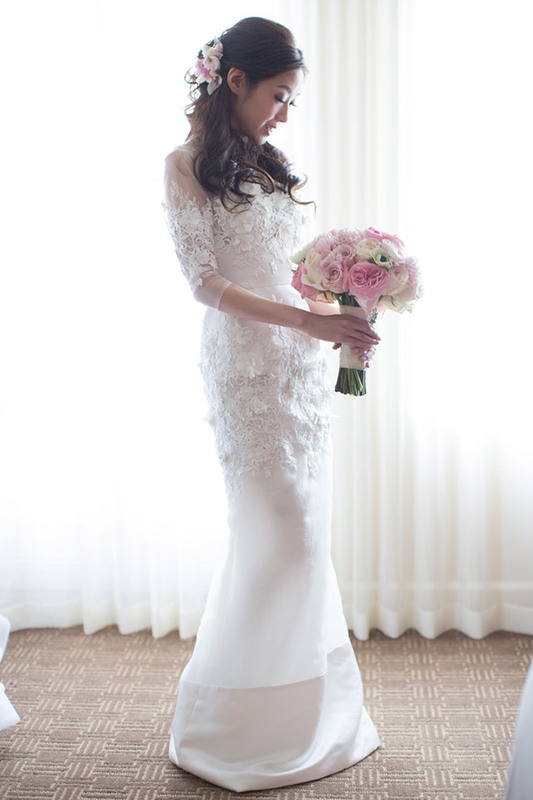 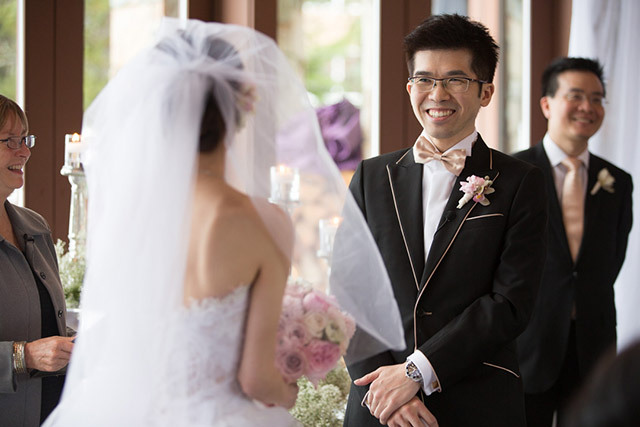 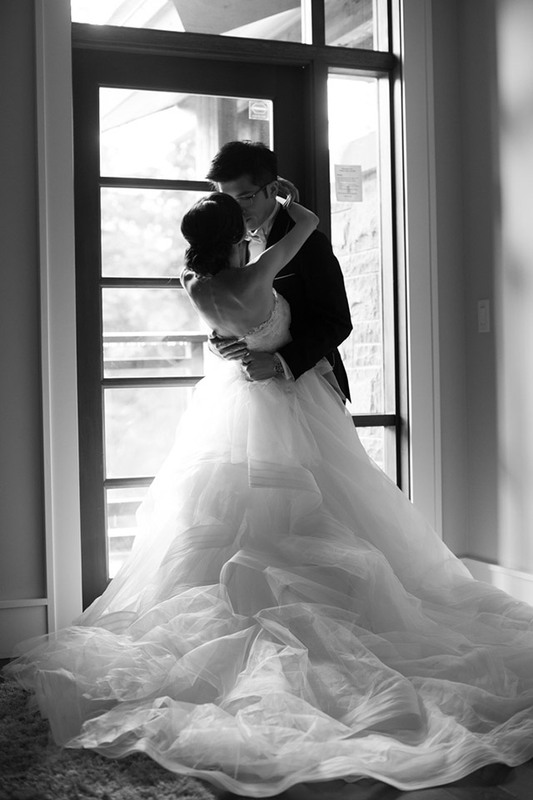 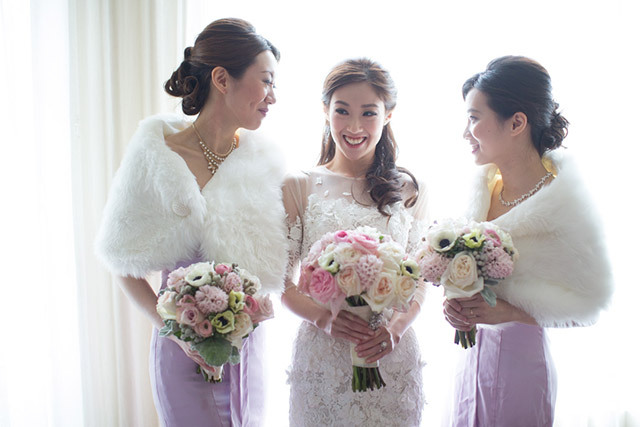 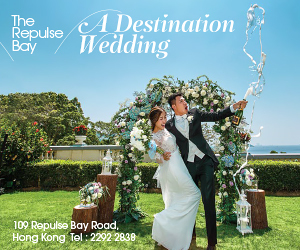 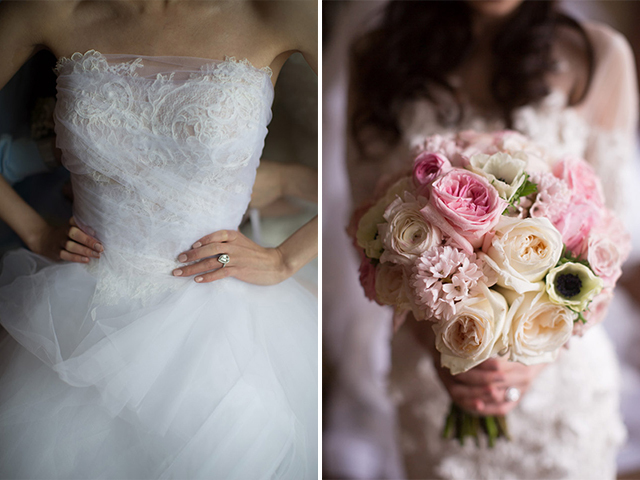 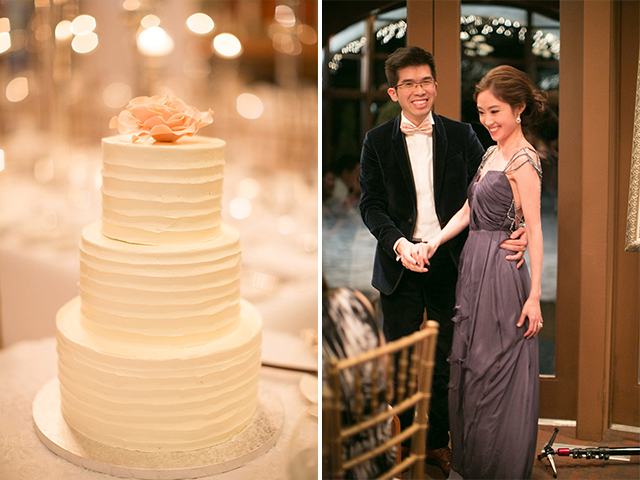 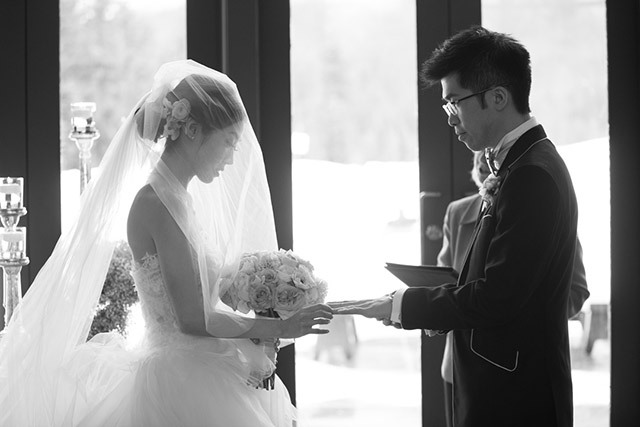 Feel the magic of this dreamy, white wedding through the lovely photos captured by Hilary Chan.